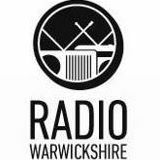 Radio Warwickshire is a social radio station. Our mission is to bring radio back to the people and be a conduit for a diverse range of musicians, artists, thinkers, entrepreneurs, creatives, and individuals who care about their community and want to share ideas, inspiration, and support. We’d love for you to join us in this mission, visit our website and social hubs and join in the conversation.